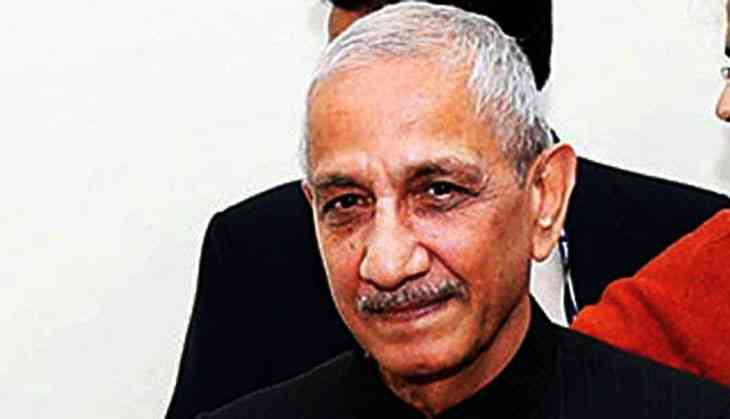 There are just three days to go for Centre's new Jammu & Kashmir interlocuter Dineshwar Sharma's first visit to the state, but it seems that the Kashmiri civil society is not very excited at the prospect. A joint statement put out by Kashmir’s various civil society groups and prominent personalities has expressed reservations about meeting Sharma. “The engagement of the nominated representative of Government of India with anyone else other than Joint Resistance Leadership will be a futile exercise,” the statement said. “We the members of Kashmir civil society have witnessed with distress hindrances to the process of resolution of Kashmir dispute sought to be facilitated by nominating Mr. Dineshwar Sharma as a representative of Government of India. Unfortunately, the terms of reference for the proposed dialogue have not been specified,” the statement read. Adding that – “The issue needs to be dealt with frontally in its historical perspective. The dialogue must take place among the three principal parties viz India, Pakistan and the Joint Resistance Leadership of Kashmir. That alone can yield desired results”. The statement took exception to Sharma outlining the “restoration of peace” and “de-radicalisation of youth” as the objectives of his mission, terming them “subterfuges”. Such objectives, the statement said, “are in fact, concomitant to the resolution of the dispute”. Separatist groups have already decided to boycott Sharma. A belated joint statement issued by Syed Ali Geelani, Mirwaiz Umar Farooq and Yasin Malik, also called the Joint Resistance Leadership, termed the Centre’s new initiative as “nothing more than a tactic”. The leaders urged New Delhi that before embarking on any dialogue it should acknowledge that “there is a dispute that has to be resolved”. It also questioned the Centre’s sincerity towards the dialogue when the Prime Minister Narendra Modi had himself rejected the former home minister P Chidambaram’s call for the autonomy to the state. Earlier, Hurriyat had preferred to maintain a studious silence over Sharma’s appointment, even while Pakistan had rejected the initiative as “insincere and unrealistic” as it didn’t directly seek to talk to Hurriyat and Islamabad itself. With civil society groups too joining in the rejection, there is a big question mark over the Centre’s latest political outreach to the state. In the absence of the meetings with separatists and credible civil groups, Sharma’s engagements in the state will be reduced to talking to mainstream political parties and little-known social and cultural groups and their delegations. And none of them will be in a position to advance the cause of the peace in the state. “One would love to engage with a serious political initiative geared to find a resolution to Kashmir. But Mr Sharma’s mission is turning out to be everything but that. It is the drastically watered down version of even the previous low profile interlocuting effort led by Dr Dileep Padgaonkar,” says retired Justice Hasnain Masoodi. “Sharma will rerun the gamut of the earlier pointmen. This serves little purpose,” he added. Justice Masoodi along with Justice Janak Raj Kotwal was a part of the J&K High Court’s Division Bench which in 2015 had ruled that the state continued “to enjoy special status to the extent of limited sovereignty ” as “guaranteed under Article 370 of the Constitution”. The order was later overturned by the Supreme Court which said J&K “enjoyed no sovereignty outside Indian constitution”. Justice Masoodi bemoaned that the Centre had progressively downgraded the status of interlocutors over the years. “The Union government had once appointed the senior minister KC Pant as the interlocutor. And now the job has been assigned to a bureaucrat,” he said. The civil society groups which have signed the statement include the Coalition of Civil Society whose head Parvez Imroz has been awarded the prestigious Rafto prize for human rights this year. Another group is the Kashmir Centre for Social and Development Studies. Its chairperson Dr Hameedah Nayeem is the wife of the Hurriyat leader Nayeem Khan who is currently in NIA custody for being the alleged recipient of the funds from Pakistan meant for militancy in Kashmir. Jammu and Kashmir Right to Information Movement is another signatory. Though separatist groups have boycotted all other previous interlocutors including Pant, it is for the first time that the civil society has publicly rejected the outreach. “With major civil society groups and members also rejecting the engagement with Sharma, this will further reduce the public confidence in Sharma’s mission, therefore defeating its very purpose,” says Naseer Ahmad, a local columnist. “New Delhi urgently needs to upgrade the political mandate of the interlocutor and prioritize his talks with the dissident political and social groups, if it is serious about the effort. Otherwise, Sharma’s initiative is as good as dead before it has even begun,” Ahmad added.